The road racing season is now underway at both home and abroad. Down under, our interviewee Daniel Whitehouse (EvoPro Racing) picked up 4th overall at the New Zealand Cycle Classic (2.2) and 12th overall at the Herald Sun Tour (2.1). The final part of our interview with Daniel should land this week. Over in Europe, Canyon dhb p/b Bloor Homes kicked off their road season at the Challenge Mallorca. One of our domestic riders to watch Jacob Hennessy picked up the sprints prize on the first day of racing. An interview with Jacob is also on its way shortly. In France, our U23 rider to watch Jake Stewart (Groupama-FDJ Continental) grabbed second place in the first Elite National race of the season, the Boucles de L’Essor. Ross Lamb (GSC Blagnac Vélo Sport 31) took fifth a week later at the Trophee de I’Essor. At home, the domestic road race season kicked off with the National B race, the Perfs Pedal. One of the pre-race favourites Jacob Vaughan (Canyon dhb p/b Bloor Homes), another of our U23 riders to watch, took the honours. We’ve just completed a fascinating interview with him, which should be up next week. At the World Tour level, Dan McLay (EF Education First) and Owain Doull (Team Sky) both won stages of the Herald Sun Tour, and Adam Yates (Mitchelton-Scott) won stage 4 of the Comunitat Valenciana. Neopro Harry Tanfield (Katusha-Alpecin) also took an impressive 12th place in the opening time trial of the Comunitat Valenciana. The UCI has confirmed that 6 British teams will have a Continental racing licence for 2019. SwiftCarbon Pro Cycling announced their finalised roster, with Pete Williams, formerly of One Pro Cycling, a late addition to what will be a 13-man squad. We spotted on the UCI website that Vitus Pro Cycling have added Irishman Christopher McGinchley to their squad, which brings their squad to 14 riders in total. Previews on both teams are in the works, but for now you can check out our guide to each of the Continental teams here. Our in-depth preview of the Team Wiggins Le Col squad was published this week. Our British Conti Insider told us that the squad may yet see further additions, with Gabriel Cullaigh strongly rumoured to be rejoining the team. And British legend Russ Downing announced he was joining a ‘one-man’ team, Giordana Racing, for 2019. He’ll race in the national road series for Giordana and will also be their brand ambassador. His interview with Chris Sidwells is well worth checking out. The line-ups for races are coming thick and fast at the moment. You can check out an up-to-date list of UCI races featuring British Continental and elite teams here. The Belgian semi-classic Le Samyn will be the first clash for some of the British Continental teams, with SwiftPro Carbon Cycling, Canyon dhb p/b Bloor Homes and Team Wiggins Le Col all on the start list for 1.1 race on 5 March. The line-up hasn’t been confirmed yet, but we understand Canyon dhb and Madison Genesis will both ride the fantastic french race Tro Bro Leon, featuring farm tracks aplenty, on 22 April. 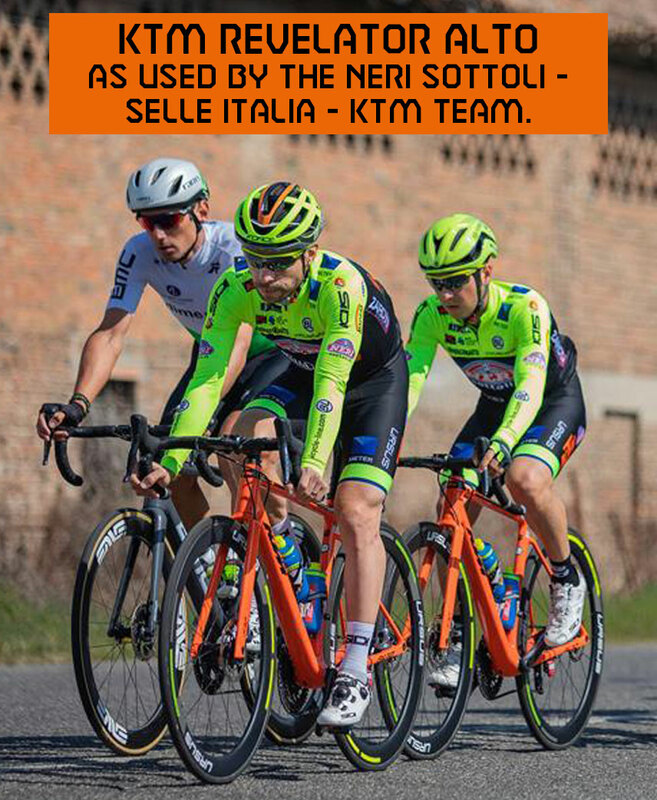 And Holdsworth Zappi confirmed that they will ride the Baby Giro again this season. More details of the South Coast Classic – part of the new national road series – have emerged. Eastbourne will be host venue for the inaugural race taking place 27-28 July 2019. It will form part of the re-established Eastbourne Cycling Festival. Eastbourne will host The South Coast Classic women’s race on Saturday 27 July and the men’s race on 28 July. In our last communiqué we revealed the race will take place across Kent and Sussex, have three major climbs and will include gravel sections too. There will be at least one occasion this season when the team will ride a triple programme, a fascinating/terrifying logistical challenge for the team! Alex Colman’s nickname in the team is Ivan Drago. The UCI announced that Glasgow will host the first ever combined cycling World Championships in 2023. The event will bring together 13 cycling disciplines over two weeks in August for the first time- including the road race and track championships. Condor announced a return to the domestic scene by partnering with Full Gas to help present the 2019 Good Friday track meet. Condor also told us they are still hoping to return with a domestic road team too, following the collapse of JLT Condor. They said they are following up and looking for leads to talk to potential sponsorship partners. We’ll be keeping our fingers crossed they can find one.